Our multi-use terminal handles a variety of cargo. Coastal Cargo of TX operates the Care Terminal in the Port of Houston, providing terminal and stevedoring services. Care Terminal is a multipurpose, non-union labor facility on a 32 acre site located on the north side of the Houston ship channel, near the city of Channelview, Texas. 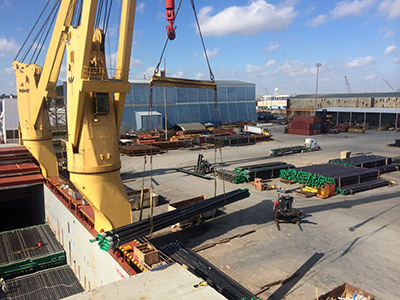 Coastal Cargo of Texas, Inc. provides stevedore and terminal services in the Port of Houston at Care Terminal, Woodhouse Terminal, South Central Terminal and the public wharves at Port Freeport, TX. For more information on CCTX contact (281) 860-0010 or request a quote by completing the quote request.